The Authority provides both water and sewerage services to our various service areas throughout the Cayman Islands. Please click here for a map of our service areas. Download the rates sheets below to learn more about the specific rates and charges associated with our different services. View our rates for piped and trucked water services in the Cayman Islands. 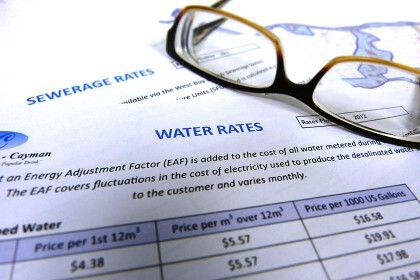 View our sewerage rates based on the type and size of the development.